The Consumer Protection Council (CPC) has read the riot act to service providers in the telecommunications and aviation industry in Nigeria. Addressing members of the Mentorship and Business Development Forum of the Nigerian Bar Association in Abuja, the Director General of CPC, Mrs Dupe Atoki, warned against the violation of the rights of consumers. 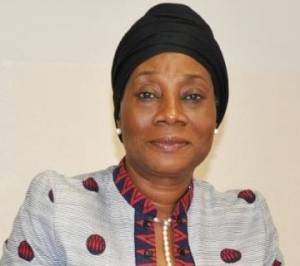 Speaking on Thursday, Mrss Atoki noted that the Council had been overwhelmed with complaints by consumers, who receive unsolicited messages from telecommunication service providers in addition to making consumers pay for poor quality of service. She also decried the actions of airline operators offering shabby treatment to their customers in terms of delayed flights and outright cancellation of flights without compensation to their customers. The CPC boss cautioned persons trampling on the rights of consumers to brace up and improve the quality of their services or be prepared to face legal sanctions.